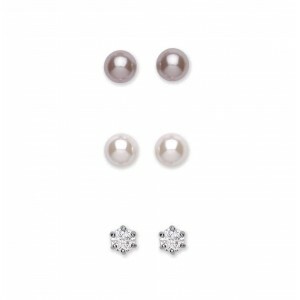 A great addition to anyone's jewellery wardrobe. 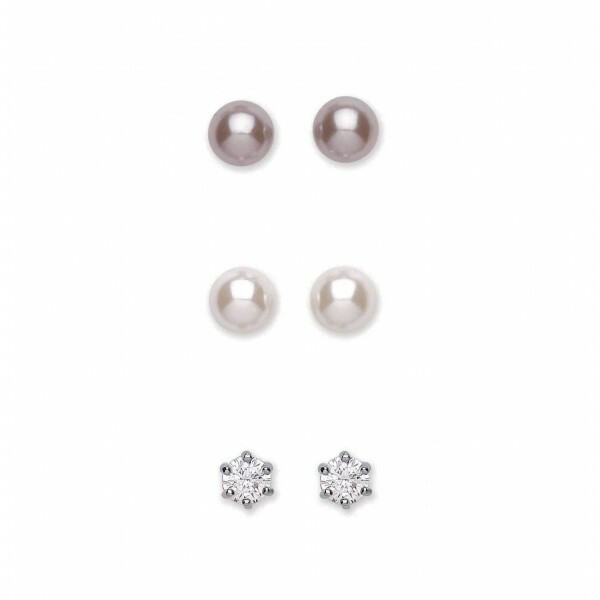 Plated in the finest rhodium, this set consists of a 7mm grey glass pearl stud, a 7mm cream glass pearl stud and a 5mm claw set clear Austrian crystal stud. 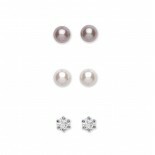 They all feature a post and butterfly fastening suitable for pierced ears only.